This prop was inspired by the movie, Interstellar. I am a fan of Christopher Nolan. The style he incorporates into his movies, with the realistic SciFi look appeals to my taste. After Poly Modeling in 3D Studio Max, I exported the .obj file to continue working with Unfold3D. I believe this program is superior than 3D Studio Max or Maya UV Editor. 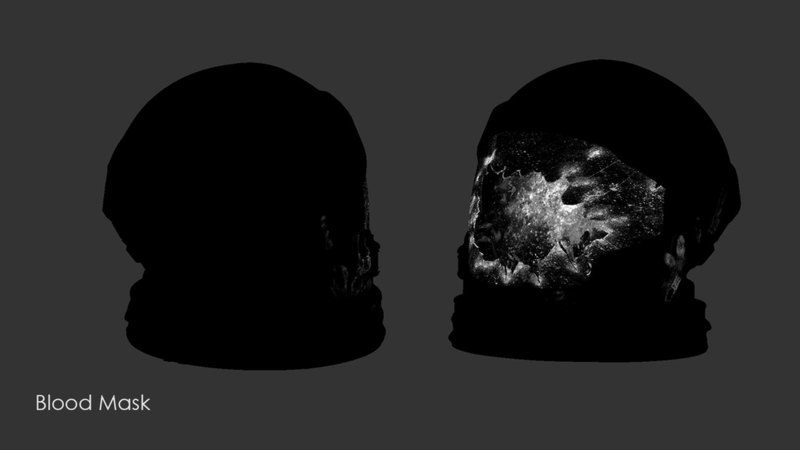 For the second step, I imported the .obj to 3D Studio Max and then organized the UV patches for each part of the helmet. 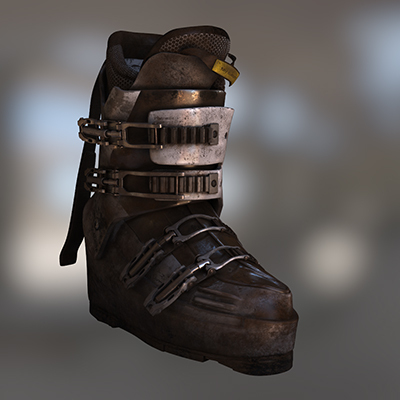 Following that, I continued texturing with Mari to create Diffuse,Reflection,Gloss,Bump and Dirt maps. overall i used 10 material with vray blend material, with small tweaking between each one of them. I used Vray with multi sub material with additional dirt material as a separate material to ensure that the dirt was continuous over the whole object. I wanted to make the glass section of the helmet broken because of the story in my scene. With the Alpha map that i projected in Mari i moved to ZBRUSH and divided to two polygroups than delete the broken part, than in 3Dmax just add the thickness to the geo, by using double-sided material I succeeded to create the look that I was aiming for. then i did a small test to see what more efficient, rendering broken glass geo or rendering Displace map with water level option to clip the geometry and hide the geo. with those two option i achieve the look that i want broken glass with thickness and fog color in the edge of the glass. the broken geo that i cut in zbrush was the one that i chose to work with because the rendering time. Vray HDRI For using UDIM In 3Dmax. the final step was compositing with nuke to be more flexible with tweaking the colors, zdepth, sharp and replace bg. my hope is that breakdown is help to someone.